Very unique and beautiful villa, located in one of the best areas of Marbella, Rio Real! Great investment: the villa is already functioning as boutique hotel and the whole summer is booked. High online ratings and fantastic ranking, the business just needs to be taken over. Beautiful and well-located villa set in a quiet and secure area, in Rio Real. The house is built with great taste and only top-quality materials, on two main floors plus a ground level and a huge solarium. Its amazing hall with fireplace welcomes visitors to this ideal family home which comprises a large living room, two dining rooms (summer and winter), kitchen and a suite with en-suite bathroom, perfect for the visitors. On the first floor there are 4 bedrooms (one of being the master suite) with en-suite bathrooms and under heating floor. Furthermore there is staff bedroom with en-suite bathroom, a storage room, a garage for four cars (plus outdoor parking space for at least 4 cars), an office with installed kitchen and a wine cellar are located in the basement with around 260 sqmts. Additional features of the villa include a lift, a beautiful garden with private pool and a spacious covered terrace. 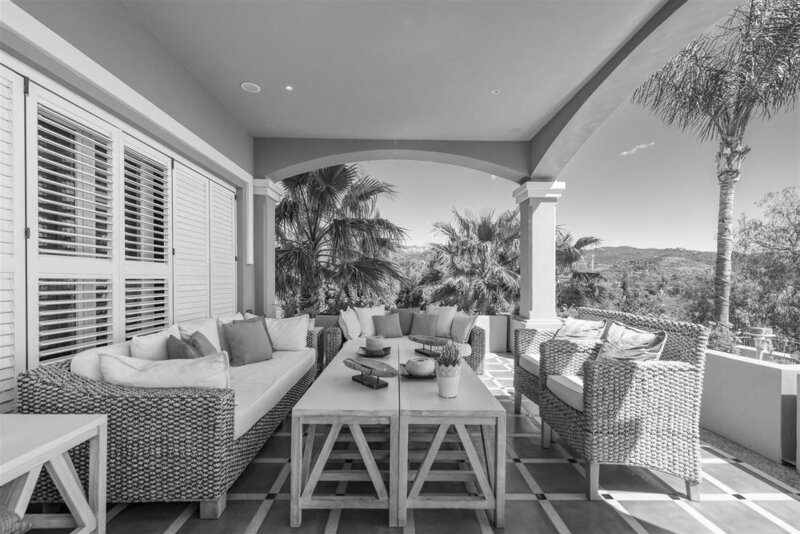 Benefitting from fabulous coastal views in its elevated position, this property is only five minutes drive from Marbella’s city center yet is also in an amazing quiet area. It is also important to note that the hotel has excellent ratings on Tripadvisor and Booking.com and it is possible to hold small events there such as intimate weddings or parties.